Your loved one’s first concern will be to obtain the medical treatment needed to recover and do as well as possible. No one wants to have to worry about finances and making ends meet during this time, but it is a necessary part of the process that often causes a great deal of anxiety for cancer patients and caregivers alike. Due to lost work time and the cost of cancer treatments and care—often very expensive even for those with robust insurance plans—many caregivers and cancer patients experience serious financial difficulties as a direct result of the disease. If your loved one desires to be treated by a cancer care team with expertise in head and neck cancer, then it may be necessary to temporarily relocate, which will likely add to the financial challenges. The costs of specialized care and relocation can add up. Missing work can raise anxiety over income and retaining health insurance. But there are a few options that may ease that anxiety. Explore all options to keep your jobs during the cancer journey. The person with cancer may qualify for protection and assistance under the provisions of the Americans with Disabilities Act (ADA). If the patient qualifies, then his or her company should provide accommodations, such as a flexible work schedule. You both may qualify for assistance under the Family and Medical Leave Act (FMLA). If you qualify as a caregiver, then you will be entitled to up to 12 weeks unpaid leave. Contact the American Cancer Society or other organizations that provide assistance to cancer patients and their caregivers to see if you qualify for financial assistance or free or low-cost services that would help offset more costly alternatives. You may also qualify for assistance through government programs; ask a social worker for guidance. (There may be a social worker associated with your cancer care facility, or you can ask for recommendations from your care team.) Many cancer patients, their caregivers or local organizations such as houses of worship hold private fundraisers, online or in person, to help cover the costs of cancer care and living expenses when there is little or no income for the family. The articles in this section may help you and your loved one understand financial options during the cancer journey. 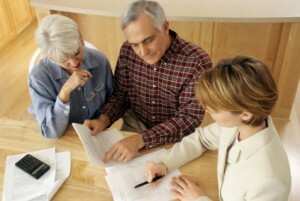 This article discusses how to keep one’s insurance coverage after a cancer diagnosis. This article covers different organizations that may be able to provide financial assistance for you or your loved one during cancer treatment. This page lists some resources that may help you and your loved one navigate financial challenges during the cancer journey.